Rejuvenaction | We probably can. We certainly must. Just a quick note for newcomers who might arrive here on RJ, see it hasn’t been updated in ages, and assume the whole rejuvenation business came to a end; that’s not what’s going on here. If anything, the business is expanding. The reason Rejuvenaction is basically dead is that now I work for the Life Extension Advocacy Foundation, and my advocacy efforts, now multiplied, continue there; LEAF has a much wider reach and there is really no reason I should invest time on RJ when I can make much more of an impact working for LEAF. However, RJ is still a useful source for whoever might be looking for an answer to rejuvenation objections or want to know more about rejuvenation, which is why RJ will keep existing. Project4Awesome, the initiative by the Foundation to Decrease Worldsuck that I posted about two days back, is now live. What it means in short is that, if you are able to upload videos to a YouTube channel, you can make videos to support your favourite charities—SENS Research Foundation and the Life Extension Advocacy Foundation come to mind—upload them, and then submit them to P4A’s website, where viewers can vote for the videos/charities they liked the most. The event will last for the whole weekend, and the most liked charities will receive a prize of $25,000 each. I wasn’t at all into making videos until I heard of P4A; for the occasion, I opened a Rejuvenaction YouTube channel to upload my videos to. I really don’t see myself becoming a regular YouTuber, but for now you’ll at least find my videos in support of LEAF and SENS there. However many or few videos in favour of LEAF, SENS, and other rejuvenation-focused charities there are, we need to get people to vote for them! Ask your friends and family to vote for your videos, if you made any; if possible, get them to vote for other videos endorsing SENS, LEAF, etc. Spread the word on your social media, Reddit, and wherever you see fit. Don’t assume you don’t need to bother because others will, because… that’s exactly what they are thinking, and that’s a sure-fire way to get near-zero votes. UPDATE: You can find all LEAF videos here; all SENS videos can be found here. Remember to check these periodically, as new videos may be coming all weekend. You can also watch my videos below, but PLEASE, do not forget to go to P4A and do your voting. Every video endorsing charities in the rejuvenation field is a good video to vote for. Busy as I am studying biology and helping out LEAF, my posts here have become rarer than water in the desert; thus, when I break the silence—like I’m doing right now—you know it’s for a good reason. Have you ever heard of Project4Awesome? If not, read on. If you have, read on anyway. Project4Awesome—P4A for short—is an initiative by the Vlogbrothers, Hank and John Green. Each year in December, P4A invites YouTubers all over the world to make videos and publish them on YouTube to let everyone know about their favourite charities. Videos are then submitted to P4A’s website where people can vote for them. Charities with the most votes are awarded a prize by the Foundation to Decrease Worldsuck—created by the Green brothers—and yes, more than one charity can win. To my knowledge, this year’s prize is $25,000 per charity. Charities in the rejuvenation business could do a lot with that kind of money. Speaking of which, this is a great occasion to help both SENS Research Foundation and LEAF. My readership will hardly not know who they are, but just in case: SENS Research Foundation is a charity and pretty much the leading organisation working on rejuvenation biotechnologies against ageing. LEAF, the Life Extension Advocacy Foundation, is a charity working to popularise and crowdfund research against ageing. You can help these charities either by making a video yourself, or voting for videos on them on P4A’s website. As explained on P4A’s website itself, your video needn’t be professional-looking; it can be a short, cellphone video. (As a matter of fact, short videos, say 2-4 minutes, are strongly encouraged.) In addition, you can submit a video for each charity you like, so for example making one for SENS doesn’t mean you can’t make one for LEAF, and vice-versa. More detailed instructions on video-making and how to proceed can be found here, but I’d like to remind you that your video needs to be submitted to P4A between December 15th-17th. That’s also when you’ll be able to vote for other people’s videos. If you do make a video, make sure to get your friends to vote for it, and in general, spread the word: The more people in the life extension community will know about this, the higher the chances SENS and/or LEAF will win a prize; more importantly, this is a great occasion to bring life extension to the attention of Hank Green, who’s rather interested to begin with and has a rather huge follow on Facebook, Twitter, and through different YouTube channels, such as SciShow. I have already made my video for LEAF, and one for SENS is in the making. If you don’t have a YouTube channel, that’s no big deal because you can easily make one; anyone with an account on YouTube can. That’s what I did—I didn’t have a channel until it was necessary for this very reason. (I wouldn’t expect much else to become available on my channel, but you never know.) I will post my video here after I submit it to P4A. Please, don’t pass on this chance! It’s fairly easy and costs you nothing. Don’t leave it up to other people to make a video, don’t leave it up to other people to vote: Take the initiative and do something yourself! If everyone left it up to others to do something, no one would do anything and sayonara rejuvenation biotechnologies. Take control, and help us make it happen. November 28th, Tuesday, is Giving Tuesday—the international day of giving, an initiative to encourage people to donate to charities engaged in important causes all around the world. For the occasion, Facebook is teaming up with the Bill and Melinda Gates Foundation to double any donations made to charities through Facebook. 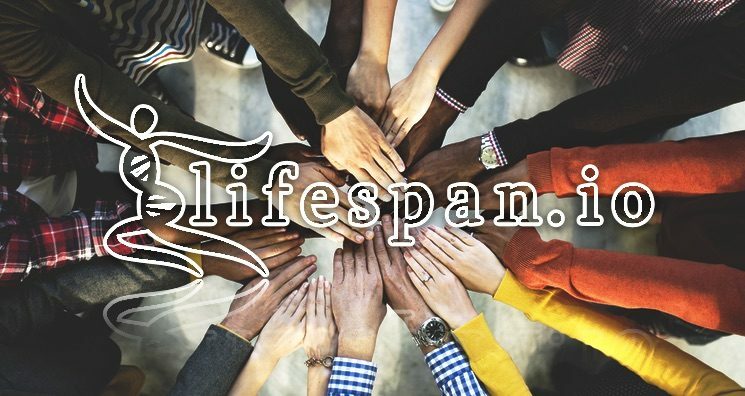 The details can be found here, but if you’d like to help Lifespan.io—the crowdfunding platform for research on rejuvenation biotechnologies against age-related diseases created by the Life Extension Advocacy Foundation—you can find all you need to know below. Only donations made after 8:00 AM EST on November 28, 2017 will be matched. If you donate before 8:00 AM, or after November 28, your donation will not be matched. 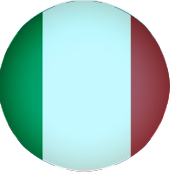 If you want to know what’s the time frame in your timezone, try this tool. If the donation is made between 12:00 AM EST on November 28, 2017 and 11:59 PM HST on November 28, 2017, Facebook will also waive the donation fee they usually keep to the charity receiving the donation. Only the first $2 million in donations will be matched. If you wait too long to make your donation, it’s possible that your donation won’t be matched as the matching fund ceiling might have been reached already. Additionally, only the first $50,000 worth of donations will be matched for each given charity—so, again, the sooner you make your donation, the higher the chances it will be doubled. In order to be matched, donations must be done through Facebook. The easiest way you have to make a donation and have it matched is to visit Lifespan.io’s Facebook page, click the blue “Donate” button on the right under the banner, and follow Facebook’s instructions. The screenshot below shows the location of the “Donate” button, circled in green. You can make a Facebook post explaining to your friends why you think it’s important to support Lifespan.io, and add a “Donate” button to it. Your friends will be able to make their donation to Lifespan.io by clicking the “Donate” button on your post, and their donation will be matched (if done within the time limits). Adding a “Donate” button to your posts is simple; instructions can be found here. Don’t forget to include a #GivingTuesday hashtag. You can record a video to accompany your Facebook post created as described above. Videos are typically more effective than text posts. It doesn’t need to be elaborate or fancy: a simple, short-and-to-the-point cellphone video will do. You can do a Facebook livestream and add a “Donate” button to it. To add a button to a livestream, read here. You can share this very post (permalink) on Facebook, Twitter, Reddit, or any other social media you like, and don’t forget the #GivingTuesday hashtag. I strongly suggest you to invite your friends to follow your lead and donate and/or spread the word themselves. Just liking, upvoting, or commenting, without more concrete actions, will accomplish nothing. On the other hand, writing a brief status update explaining the importance of this cause and adding a button to it won’t take longer than five minutes, and it can really make a difference. We’re lucky enough to live in an age where, at least from time to time, we actually have the opportunity to achieve a lot with little effort. Please, let’s not waste it. Even though I have already shared the news on Rejuvenaction’s Facebook page, this is such good news that it is definitely worth repeating myself. Today YouTube channel Kurzgesagt has released a video titled: Why age? Should We End Aging Forever? The video is fantastic to say the least. It explains briefly what ageing is, promises a later video about some of the nitty-gritty of rejuvenation biotechnologies, and it depicts the whole thing in a very positive light. On top of that, CGP Grey made another video on pretty much the same topic, just much, much, MUCH more blunt. I definitely recommend you give both a look. The video above was made with the help of Lifespan.io, which is also mentioned in the description. I don’t think CGP Grey’s video was released also today by sheer coincidence—he did talk about teaming up with Kurzgesagt, if I’m not mistaken—but Lifespan.io is not involved in the making of his video. Still, it is awesome. How would you like an easy way to help the cause? Share these videos on your social media, like them and upvote them. If you’re one of those brave souls who dare looking at the comments, please do and let people know about Lifespan.io where appropriate. Like comments that mention it. Both channels have a rather large number of followers (we’re talking millions), so this could really help get the ball rolling. If a fully rejuvenated person was hit by a train at full speed, I can promise you they would stand the same pathetically low chances of ever being reassembled into a single, barely functional piece as any non-rejuvenated person of any age. Keeping that in mind, if anyone tried to sell me rejuvenation as ‘immortality’, rest assured I would demand to see the manager right away. On a different yet unexpectedly related note, if I had a nickel for every time I heard or read something along the lines of ‘death is inevitable because probability’, I could donate so much money to LEAF the IRS would start thinking they’re a bit too well off for a charity. Oh, and with the rest of the money, I could buy LinkedIn and pay someone to finally give it a user interface you can look at without your eyes bleeding. probability grants you will die at some point, rejuvenation or not. But that’s okay, really—I mean, people hold contradictory beliefs all the time. What pisses me off is that statement ‘b’ is false. You might be thinking I must be a few fries short of a happy meal, because after all, statement ‘b’ is only a special case of the more general statement ‘Given infinite time, anything that is possible, however unlikely, will eventually happen’. This is false too, by the way—if a special case is false, then the general case isn’t true either. To be fair, among people who think both statements ‘a’ and ‘b’ are true, probably many intend immortality in a weaker sense than I do. To me, ‘immortal’ is somebody who cannot die, no matter what; to them, ‘immortal’ is just someone who doesn’t die of their own accord past a vaguely defined ‘best before’ date. I think using the word ‘immortality’ for the latter is wrong and misleading, but since surely most people will keep using it no matter how much I whine about it, I could agree to call ‘strong immortality’ the former and ‘weak immortality’ the latter. Weak immortality is thus what some people call ‘functional immortality’, ‘biological immortality’ or ‘amortality’—again, the property of a creature whose body doesn’t fall apart by default with the passing of time. Quite frankly, I think strong immortality is not possible, because it implies that one’s chances of ever dying are exactly zero; or, if it is possible, I think it’s so far off that it’s not worth holding your breath. Some are convinced the laws of probability say that, inevitably, the odds a living creature will die go up with the passing of time, and from this premise, they conclude rejuvenation (or weak immortality, if you really want to use the i-word) is a pointless goal: Sooner or later you will die anyway, so why bother with rejuvenation? Well, apart from the fact that staying biologically young and healthy is a worthy goal regardless of how long you’ll live, as I was saying above it’s not true that probability makes your death inevitable: In fact, under certain circumstances death may become more and more unlikely with the passing of time. Whether or not we can produce these circumstances is a different matter, which we will also look into; my point here is debunking the myth that death is certain no matter what because probability says so. Another way of putting it is that if your goal is to never die, you don’t need strong immortality: You can be mortal and yet never die, so long as your death is a vanishingly unlikely event. Maybe you’re used to think of probabilities in terms of percentages, but in statistics you generally use numbers between 0 and 1 instead, which is perfectly equivalent. Intuitively, a probability of 0 is 0%, 1 is 100%, 0.5 is 50%, and so on. That’s how we’re going to do it here. We want to prove that death is not necessarily certain even given infinite time; in other words, we want to show that your probability of death over an infinite time can be less than 1. To do so, we need an expression for your probability of death over an infinite time; more precisely, we are going to need an expression for your probability of death over an infinite number of years, starting from the first year of your existence, which we say is year 1. As you probably already know, nobody dies twice; in order for you to die in year 10, for example, ten distinct events must all happen: You must live through (or, equivalently, not die in) years 1, 2, 3, 4, 5, 6, 7, 8, 9, and you must die in year 10. On any given year, say year n, you have a certain overall probability of dying that takes into account your probability of death from all causes: accidents, murder, heart attacks, etc. All of these add up to a number between zero and one, which we call dn, as in ‘chance of death in year n’. This is your chance of dying in year n on the assumption you have not died before; in other words, dn is the answer to the question: ‘Assuming you did not die in years 1, 2, 3, …, n – 1, what is your chance of dying in year n?’. Notice that this question is not the same as ‘What is your chance of not dying in years 1 through n – 1 and dying in year n?’ The reason is that the former assumes you already made it through the first n – 1 years, and asks what are your chances of dying in year n in such case; the latter makes no assumptions and asks what are your odds of making it through the first n – 1 years and not making it through the nth year. The answer to the second question is the probability that n events all happen, which is calculated as the product of the individual probabilities of each event. Clearly, in a given year you either die or you don’t; these two events represent 100% of our options, so their probabilities sum up to 1. Thus, if dk is your overall chance of dying in year k, your chance of not dying in year k is 1 – dk. Dn = (1 – d1)×(1 – d2)×(1 – d3)×…×(1 – dn – 1)×dn. For example, we have D1 = d1 (because you didn’t exist before year 1 and therefore couldn’t die before then), and D4 = (1 – d1)×(1 – d2)×(1 – d3)×d4. Each Dn is the chance of a specific combination of events happening, namely your living through years 1 to n – 1 and dying in year n. Obviously, only one of these event combinations can happen, because as said you don’t die twice. For example, you either live through years from 1 to 5 and die in year 6, or live through years 1 to 10 and die in year 11, but not both. The question ‘What is the chance that you will ever die, given infinite time?’ can thus be restated in a more verbose, but more accurate, way: ‘What is the chance that you will die in year 1, or live through year 1 and die in year 2, or live through years 1 and 2 and die in year 3, …’ and so on, ad infinitum. So, instead of writing D∞ as the long sum in the middle, we express it as the Σ (‘sigma’) thingy on the right. They mean the exact same thing. Alright, so now we have an expression for your probability of dying over an infinite time, D∞, and we want to show it can be less than 1. This might seem absurd to you: How can an infinite sum be less than 1? Shouldn’t it always be infinity? No. A sum of infinitely many terms is called a series. If a series happens to add up to a finite value, it is said to be convergent; if it blows up to infinity, it is said to be divergent. I know it seems strange; welcome to maths. (1 – d1)×(1 – d2)×(1 – d3)×…×(1 – dk – 1)×dk. which means your probability of ever dying is always smaller than (or equal to) the sum on the right. If that sum could ever be smaller than 1, we would be done. Can it? where p is any number larger than 2. (You’ll understand why in a moment.). What would happen then? Let’s just plug the expression for dk in the expression for D∞ and we’ll find out. Now you see why I required that p be larger than 2: This way, p – 2 is always larger than 0, which in turn means that πp – 2 is always larger than 1, and thus the whole fraction is smaller than 1. Therefore, D∞, that is your probability of dying over an infinite time, is less than 1. Furthermore, the larger p is, the smaller D∞ will be, which means that if we were able to make your yearly overall probability of death decrease faster and faster as time passes, your chance of ever dying would become smaller and smaller, though it would never be exactly zero. This means that, over an infinite time, you might die, but it would not be very likely. The stuff above is called the tail of a series. In particular, this one is the tail of the series D∞, which we know is convergent, since whatever it adds up to, it is less than 1 divided by πp – 2. So it is the tail of a convergent series. The tail of a convergent series has an interesting property: as n grows larger, the tail tends to zero. In other words: Under these circumstances, the longer you lived, the closer to zero your chances of ever dying would get (though they would never be exactly zero). This, mind you, is true if we can make it so that your yearly probability of dying decreases each year according to our formula—or, more generally, in any other way such that the sum of all these probabilities is a series converging to less than 1; and this, make no mistake, is no small if. Go home maths, you’re drunk. Rejuvenation will take care of you. Dn = (1 – d)n – 1×d. As I was saying, royally screwed. You can imagine that, if your yearly overall probability of dying is not a constant but it increases instead, then you’re even more screwed—and this, by the way, is exactly what happens because of ageing. In this very moment, as things stand, your probability of dying goes up as time passes. Sorry about that. But let’s not get all doom and gloom about it, and rather, let’s focus on another question. We established that, if we can make your overall yearly death probability decrease fast enough, then death is no longer a certainty and can even become increasingly unlikely. So, can we accomplish this? Hard to say. Now, 8,938 (or even 800) years is a bloody long time, but it is not ‘forever’; however, you have to take into account that the fine chaps who made the simulation did not take into account how much we might be able to reduce the chances of ‘non-natural’ death over the course of almost 9000 years, and they didn’t do it for a very good reason: They don’t know if, when, and how much the chances of specific death causes are going to decrease. Taking wild guesses at it would introduce far too much uncertainty in the calculations to make them any useful. Regardless, it is perfectly safe to assume that over the course of such long lifespans, we’ll have figured out a way to make cars safer, for example, and thus reduce the chances of dying in a car accident. To be perfectly frank, that’s already happening with self-driving cars, and it is quite possible that within a couple hundred years cars will have been replaced by something else entirely. On top of that, we can’t know for a fact if an unexpected world war, or a pandemic, will break out and push up everybody’s chances of death, or on a grander scale, we don’t know for a fact if the heat death of the universe will happen or not, or if we’ll have figured out ways around it by then. is not a great discovery or anything like that. What you just read is basically a simple Calculus 101 exercise. I also care to emphasise that I’m not flawless or always right, so if a fellow mathematician spotted a mistake in my reasoning, I’d be happy to correct it. Meanwhile, be careful out there, and try not to make your chances of death any larger than they have to be—so don’t browse LinkedIn for too long, ’cause bleeding eyes aren’t good for you. I would like to let you know that a crowdfunding campaign to translate Aubrey de Grey’s book Ending Aging in Portuguese is currently hosted on Catarse.me, Brasil’s largest crowdfunding platform. If successful, this campaign will allow professional translators Nina T. Zanvettor and Nicolas Chernavsky to create both a paper and an e-book version of Ending Aging—or, in Portuguese, O Fim do Envelhecimento. The campaign will last until June 5th, 2018, so there’s plenty of time to collect the goal of R$ 28.000, a little less than 8.000 US dollars. On the campaign page, you’ll find a description of the project both in Portuguese and English; if you like, you can follow the campaign both on its own website and its Facebook page. Importantly, this project has the endorsement of none else than Aubrey de Grey himself, as you can see in the video below.